PADL stands for Pattern and Abstract-level Description Language. It is a meta-model to describe programs at different levels of abstractions. A IDesignMotif represents a design motif, i.e., the solution to a design pattern model in PADL Design Motifs. The following diagram shows the hierarchy of the interface describing models. 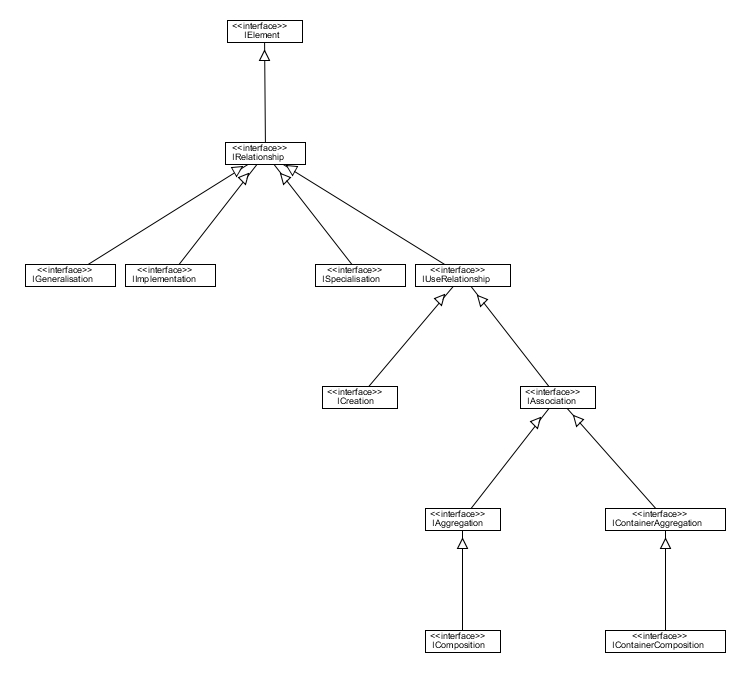 (This hierarchy has been built using the project Ptidej UI Viewer Standalone Swing.) The root of the models is the interface IAbstractModel, which describes any model that could be handled by most of Ptidej analyses and tools. This interface abstracts IAbstractLevelModel, which represents models of programs, and IDesignMotif, which represents models of design motifs. IUseRelationship a relationship between two classes A and B such as A uses in some way, for example by declaring a method with a parameter of type B, (an) instance(s) of class B. The existence of binary class relationships is inferred from an ICodeLevelModel based on the presence of certain fields and methods and method invocations in classes by the padl.analysis.repository.AACRelationshipsAnalysis. Obviously, the class padl.creator.classfile.test.creator.InheritanceImplementationCounter implements padl.visitor.IWalker. an IAbstractMethod calledMethod that is a reference to the called method. NaturalOrderComparator for a member class. /PADL|padl|kernel|impl|padl.kernel.impl.GenericContainerOfNaturallyOrderedConstituents$NaturalOrderComparator for a member class. The class padl.path.Finder in the PADL project can be used to walk the paths. The PADL metamodel provide two types of visitors to allow third-party to analyse PADL models. It follows the standard API for visitors but with a twist for the implementation. Understading the PADL visitors is easy!